Building a custom home can be a smart lifestyle move and also a wise investment. 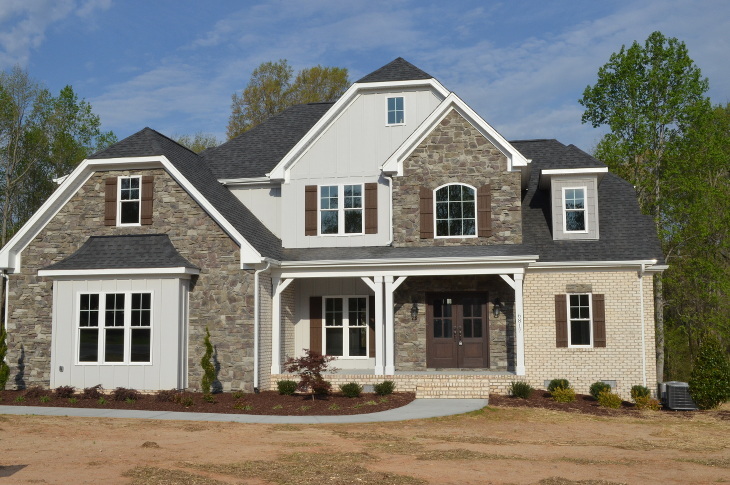 One of the biggest benefits to building a custom home in Greensboro is having a house that fits your needs, lifestyle, and is exactly how you want it. Building new means beginning with an empty canvas. It means you can get a home that’s perfect for the way you and your family want to live, and then add your style and character. There are some wonderful pre-existing homes on the market today, but if you are considering a move, here are some the key benefits to building a custom home. For many, getting a house exactly as they want is enough to choose building over buying, but there are other advantages, too. A new home will be more efficient, especially with today’s new energy codes and standards. HVAC systems, insulation, and even air filtration standards are higher which means higher performance and better efficiency that is great for the environment and your pocketbook. Besides being more energy efficient, new homes are also water efficient and come with the latest high-efficiency appliances that can also save you money on household bills. A new house may actually be better for you. Older homes present some health concerns with potentially toxic materials such as lead paint, mold, etc. Even the chemicals in older carpets may emit higher concentrations of VOCs (Volatile Organic Compounds). VOCs are up to ten times higher indoors than outdoors and can be emitted by paint, cleaning supplies, varnishes, etc. New homes can be built with certain materials making it healthier for you and the environment. More efficient toilets, plumbing, and electrical fixtures also allow you to build a more sustainable home. A home is one of life’s largest investments. A personal space that is comfortable and welcoming to call your own is helpful in building a life with your loved ones. Fewer repairs and less maintenance can also save you time and money. There are also no worries about upgrading old appliances, or adding a new roof in a year: everything is brand new and should give you years of worry-free living. Building a new home in Greensboro can result in a great deal of satisfaction. The process of building a home can be challenging, but rewarding in the end. Working with a qualified and reputable builder like, R & K Builders can help the process be one of the most fulfilling experiences so you can be living in comfort and style in a new custom built home.